Summary: As our war against al Qaeda evolves into a worldwide war against insurgents who look Islamic, it’s worth some time to ponder the original texts that put us on this road — with an almost uniform record of failure by foreign armies fighting local insurgents. Here we see Thomas Hammes, one of our top experts, discuss one of the classic texts about counterinsurgency warfare. — A book review by Thomas X. Hammes (Colonel, USMC, retired). Originally published in the Marine Corps Gazette of August 2005. Republished here with their generous permission. Recent events in Iraq and Afghanistan have heightened interest in insurgency and counterinsurgency. Military professionals and civilians alike are searching for resources to help them understand this form of warfare. To understand insurgency, the obvious starting places are Mao Tse Tung’s On Protracted War (1938) and GEN Vo Nguyen Giap’s People’s War, People’s Army (1962). Finding good material on counterinsurgency has been much more difficult. That’s why the reprinting of LTG David Galula’s Counterinsurgency Warfare: Theory and Practice is so timely. Although now over 40 years old, Galula’s book remains one of the most comprehensive and useful books on counterinsurgency ever written. Galula starts with the understanding that insurgency and counterinsurgency are distinctly different wars. He states that while the same laws and principles apply to both sides in conventional war, insurgency is different. Revolutionary war . . . represents an exceptional case not only because, as we suspect, it has its special rules, different from those of the conventional war, but also because most of the rules applicable Io one side do not work for the other. … It is the same war for both camps in terms of space and time, yet there are two distinct warfares. . . . This book reflects his deep understanding of both the theory and practice of counterinsurgency techniques. He starts by addressing the political and social prerequisites for an insurgency/insurgent doctrine (of the time) and then lays out counterinsurgency techniques from the strategic to the tactical level. Galula provides a succinct guide for an operator in a counterinsurgency. From establishing effective command relationships (very difficult), to selecting the area to initiate operations, to political preparation for the operations, to initial counterinsurgency operations, Galula takes the reader through a thoughtful, practical process that ensures that the reader understands the reasoning behind the actions. By placing the actions in context, Galula ensured that they remain applicable even today. Galula stressed that each insurgency will be unique and therefore each response must also be unique. LTC Galula died in 1967, so he could not observe the evolution of insurgency between then and now. He wrote about rural insurgency as he studied and fought it in China, Indochina, Greece, and Algeria. He did not think urban insurgency was viable because, at the time, governments had tight control in their cities. Yet in his discussion of the nature of insurgency he predicted the future well. His description of the ideal area for insurgent operations is still valid. The strength of the insurgent’s organization among the population that has been achieved in preliminary work. The remoteness of the areas from the center of the counterinsurgent’s power. Their inaccessibility due to terrain and poor communications. Their location on both sides of administrative borders, which makes it difficult for die enemy to coordinate his reaction. Each of these points can easily be applied to the large, ungoverned slums that have sprung up in the megacities of the Third World. In fact, Sadr City in Baghdad, Iraq provided just such a sanctuary for the Sadr organization during the first year of the U.S. occupation of Iraq. The only development in insurgency that LTC Galula did not anticipate was the shift from hierarchical organizations like Mao Tse Tung’s and Ho Chi Minh’s to networked organizations like the Afghan mujahideen and al-Qaeda. He did not anticipate that these organizations would evolve or that they would not execute a Phase III conventional attack against the counterinsurgent. He can be forgiven for this oversight since many of today’s writers continue to miss the same points. However, the steps he used to analyze a Maoist insurgency can also be applied to the networked version ensuring that his work remains relevant. Galula wrote what remains as one of the clearest, most comprehensive, and useful volumes ever on insurgency. Hailer Publishing has done a great service by making this classic available again. This is a book for your personal library. You will want to refer to it periodically and make numerous marginal notes. 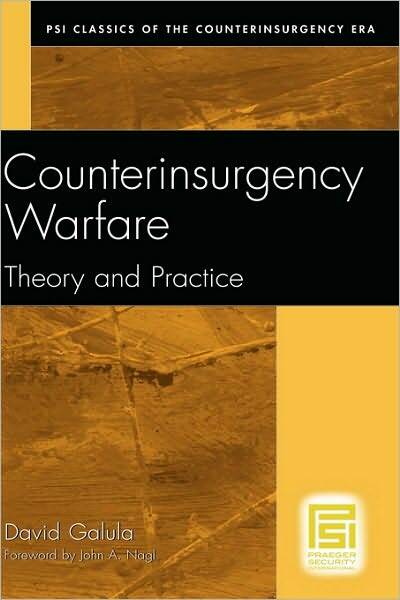 It’s a must-own for anyone who seeks to understand counterinsurgency. 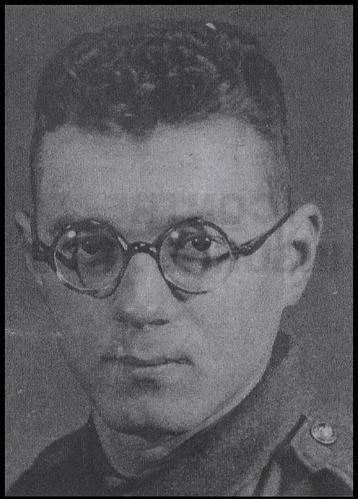 David Galula (1919–1967) was a French military officer and scholar who was influential in developing the theory and practice of counterinsurgency warfare. His other great work was Pacification in Algeria, 1956-1958 published by RAND in 1963. For more information see his Wikipedia entry. Thomas X. Hammes served 30 years in the U.S. Marine Corps — primarily in the operating forces, retiring with the rank of Colonel. He participated in stabilization operations in Somalia and Iraq and trained insurgents in various locations. He holds a BS in Operations Analysis from the U.S. Naval Academy and an MSt and DPhil in Modern History from Oxford University. He has lectured widely and published on insurgency, irregular warfare and future conflict. The Sling and the Stone: On War in the 21st Century, 2004. “The Evolution of War: The Fourth Generation”, Marine Corps Gazette, September 1994 — Free copy here. Previous Post Europe has chosen a harsh future. All the paths for Greece lead into darkness. Next Post Ask the mineshaft! Questions for you to answer. All very well but does anyone think the French could have kept Indo-China or Algeria even if they had applied Galula’s ideas? The ideas are fine if executed by locals. Fix your crappy government and the rebels will wither. As soon as a foreign occupier becomes the main counter-insurgent then xenophobia and nationalism kick in and overwhelm any improvements to living standards or governance. See the posts listed in the For More Information section about the history of COIN. Those studies support your viewpoint, totally.